According to the Aberdeen Group who collect and analyse data on buyer behaviour, up to 70% of companies want to find new ways to manage their travel-related corporate expenses. The New York Business Journal reported that companies spend 10% or more of their annual expenditure on employee travel expenses. 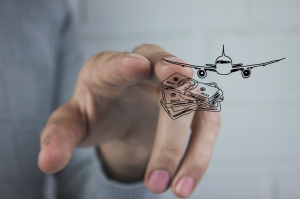 The problem is that it’s genuinely difficult to keep track of travel expenditure right from booking a trip to being able to predict exactly what costs will be incurred on a business trip, and in this article, GroundScope considers what the major hidden costs of business travel are. Business travel is tiring, especially for staff members for whom a lot of flying is involved. Travel between time zones causes high levels of fatigue and this fatigue is compounded when staff members use their time before and after their trips to catch up on work they would otherwise have done at the office. There is a real danger that this level of tiredness could affect a frequently-travelling employee’s productivity level. If productivity is measured by the orders placed by the clients they visit, there is a significant hidden cost for orders your company doesn’t end up winning. 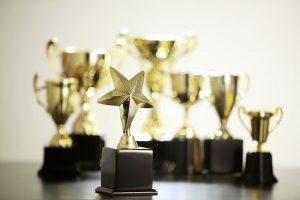 When falling commission or productivity levels begin to negatively influence your employee’s level of job satisfaction, you may be in danger of losing your important performers to competitors very eager to profit from their abilities and their connections. If you reimburse your employees for their expenses based upon the receipts they present to you, this is another significant genesis of stress. 50% of employees say that this way of handling expenses causes them cash flow problems and that submitting their receipts before cut-off is stressful (source: Finextra). Business travel is tiring particularly when a flight is involved and many employers are not letting their staff drive to and from the airport, as they could be involved in a car accident when they are tired, and instead recommend that employees take a taxi to and from the airport. According to Travelex, most staff feel the temptation to explore when they travel on business. Three in five people like to visit local attractions while just under half make a point of exploring the local cuisine by patronising local restaurants and bars, many taking clients with them and paying for their expenses on the company’s corporate credit card. When checking your travellers corporate credit card expenses , you may also notice expenditure on taxis and private cars because of staff members’ anxiety about not getting to the meeting on time (source: Travelex). Many companies now allocate specific but realistic budgets for staff members travelling for work, including money for taxis , gifts and souvenirs. 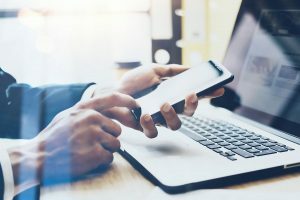 For members of staff travelling on business, you may wish to consider a mobile app for expense tracking like Concur (a GroundScope partner) or Expensify. Assuming you don’t use the flat rate system, you may not be aware that claiming expenses related to foreign travel is not allowed if you cannot provide proof that the journey was 100% for the purpose of your job. If you are unable to show this but you claim anyway, you could risk having to pay all of the money back plus hefty penalty fees. • A list of places you visited on the trip that were not work related. Of course, if your company chooses to claim your business expenses this way, it is absolutely essential that you keep track of all receipts during your trip. You’ll need to provide evidence of all of the costs you incur, or you risk investigation from HMRC. Employers have a duty of care to their members of staff both inside and outside of the workplace. More and more companies employ females in senior positions and part of their role is often to travel internationally for work purposes. In America, women now account for 40% of inland business travel and, according to the Global Business Travel Association and WWStay, the number is rising. 69% of corporate travel policies recognise that women are at greater risk than men yet less than one in five policies “specifically address the safety and security of female business travellers”, reports Skift. Elisa Doucette, writing for Forbes, has gone into forensic detail about the realities women face when they’re travelling alone and how to better stay safe. Groundscope’s worldwide network of business car service partners based in 500 cities in 80 countries take the time and complexity out of booking a car , particularly if you don’t really know the country you’re travelling to for work. Our cars can be booked online, by phone, and by smartphone app. Our service partners are fully vetted to ensure that they are licensed and insured, offering a friendly and reliable service to all users. Users can choose from a wide range of vehicles (economy to business class) and book quickly and simply on our online tool and on our mobile app. International car and chauffeur hire is a competitive business and one major barrier to increased usage among small- to medium-sized enterprises is the perception of cost. Groundscope operates in this competitive world and we’re determined to deliver value and affordability to all of our corporate customers while continuing to ensure that the highest standards of safety policies are carried out on your behalf with fully-checked and licensed cars and full insured and vetted drivers. Cut costs, increase safety and monitor your spend . Contact us today to see how GroundScope can support your business and your travellers .